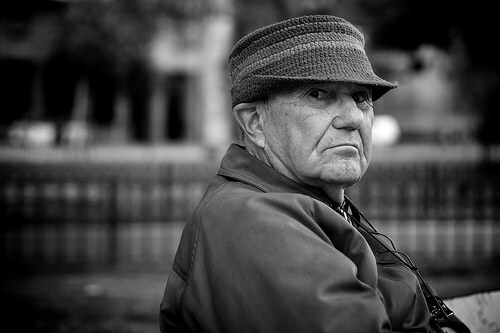 A recent article in Reuters reported that the mayor of Los Angeles has declared his support for “a new state law barring public agencies from refusing job applications from people convicted of a crime.” But could such a law place residents in nursing homes and assisted-living facilities at greater risk of nursing home abuse and neglect? No Outright Criminal Background Checks for Employees? The California law isn’t intended to put California residents at risk, but rather to encourage social rehabilitation. According to Reuters, Garcetti’s support of the law comes with a deep concern “that millions of people who have been to prison, particularly from minority communities, have little prospect of landing a job once they admit to a conviction.” The law isn’t just for nursing homes or other care facilities for older adults. Rather, it’s part of a larger movement to make criminal background checks less of a priority at the start of an interviewing process at many public agencies across the state of California. Garcetti emphasized that he, like other advocates, don’t want to “prejudge somebody who might turn out to be the best employee in the entire department.” The law goes into effect in July. What will the law mean in practice? In short, it will prevent state and local governments in California from asking about a potential employee’s criminal record when she or he fills out an initial employment application. However, employers will be able to ask about criminal backgrounds at a later stage of the employment process. As such, the law aims to prevent potential employees from being rejected for a position at the outset simply because of a criminal record. Instead, the law hopes to give qualified applicants a “foot in the door” before they must disclose evidence of a criminal history. Similar to the new law that will go into effect next month in California, the bill is “meant to require the state to look beyond the conviction to see if someone has been rehabilitated,” according to Charles Stewart. Stewart is a spokesperson for Holly Mitchell, the author of the bill. Yet some members of the California Senate worry that the new bill could end up exposing elderly nursing home residents to employees with dangerous criminal backgrounds. The topic is a particularly sensitive one in our state, given the myriad problems that have surfaced recently concerning elder abuse in assisted living facilities and residential care facilities for the elderly (RCFEs). Do you have an elderly loved one who is currently in the care of a nursing home or assisted-living facility in Southern California? While many older adults receive caring and competent attention at these facilities, nursing abuse and nursing home neglect happens to often. If you are concerned that your parent has been the victim of elder abuse, you should contact a San Diego nursing home abuse attorney as soon as possible.